Welcome to Boulevard Park the ideal mid-town location. 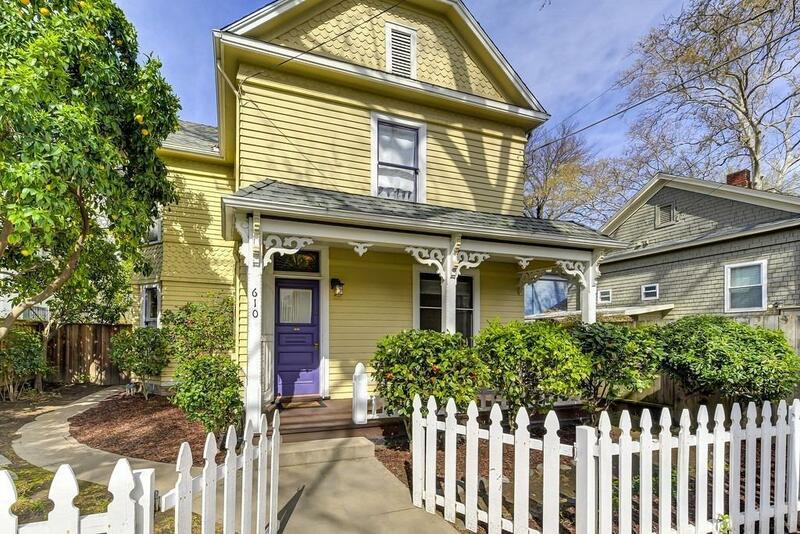 This Victorian beauty features claw foot tubs, wood flooring, master bedroom with a large dressing room and vanity. 2 large bedrooms upstairs and an office/den that is currently the nursery. Each level has full size bathrooms. The lovely front porch is great for relaxing and mingling with the wonderful neighbors. The spacious backyard will be perfect for summer time BBQ's. You will love the lemon, grapefruit, loquat and three orange trees. The storage shed, washer/dryer and refrigerator are all included. Just a short distance from Golden 1 Arena, restaurants and shops. Welcome Home!